In the latest Doodle, to mark Day four of the event, we see a motley crew, including an elephant, a tortoise and a penguin, racing snowboards down the slopes. The Snow Games doodle is the fourth in a series of 17 from the search engine giant. 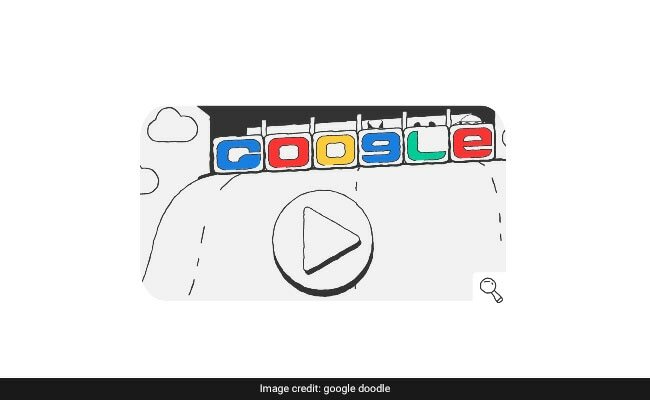 New Delhi: The 2018 Winter Olympics at Pyeongchang, South Korea are in full swing and to mark the occasion Google is celebrating it with a series of "Doodle Snow Games". The elephant is well ahead of the pack as they race down the slopes, with the tortoise languishing behind others. Users can activate the animal-based animations by clicking on the play button at the centre of the designs. The Snow Games doodle is the fourth in a series of 17 from the search engine giant. There will be one marking every day of the Winter Olympics that'll go on from February 9 to 25. The Olympics opened in a spirit of intense rapprochement on Friday as the two Koreas marched together. As Google said, "new friendships are bound to crystallize before the end of the games," no matter who wins. The Olympics Winter Games will see more than 2,000 athletes representing 92 countries at 102 events across 15 sports skiing, skating, luge, ski jumping, ice hockey, snow-boarding among other games. The Winter Olympics are being held in Pyeongchang, located in the mountains of the province of Gangwon. This year's opening ceremony took place at on Friday, February 9, and the games officially come to an end on February 25.